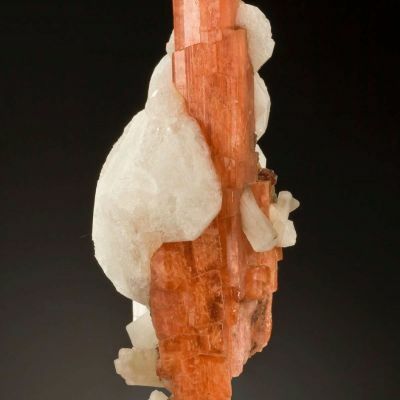 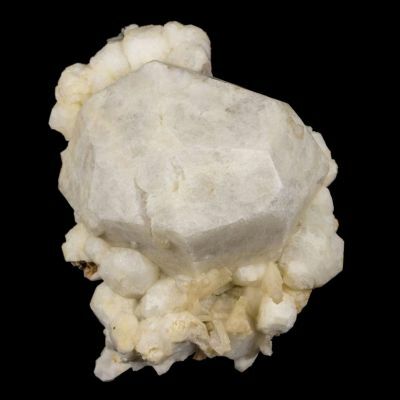 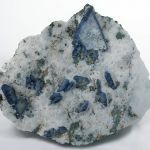 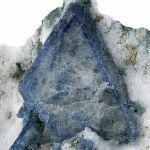 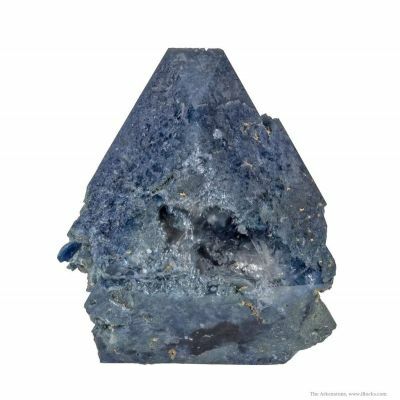 This unusual specimen features very flat, 2-dimensional benitoite crystals that are just strange in appearance, quite different from the normal thick crystals of darker blue or gray-blue. 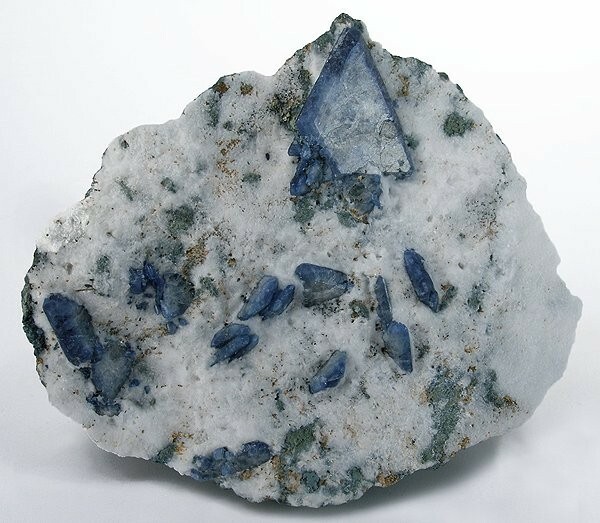 Even the color here, is unusual. 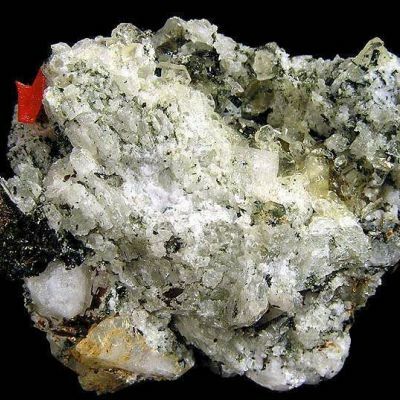 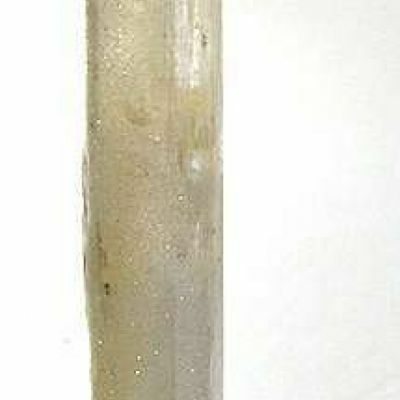 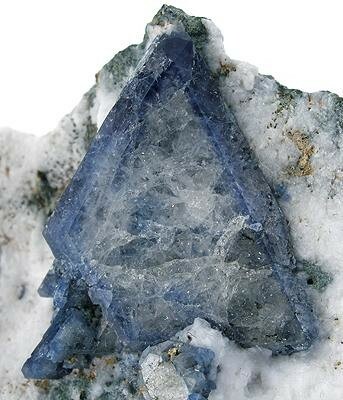 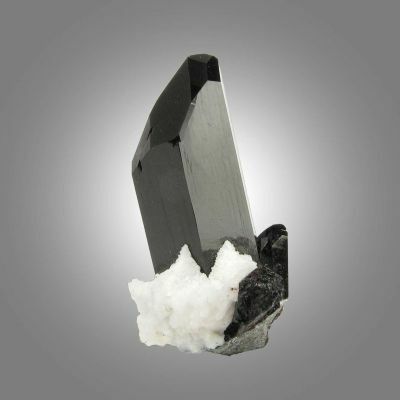 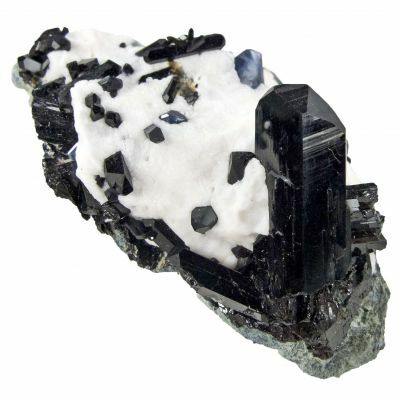 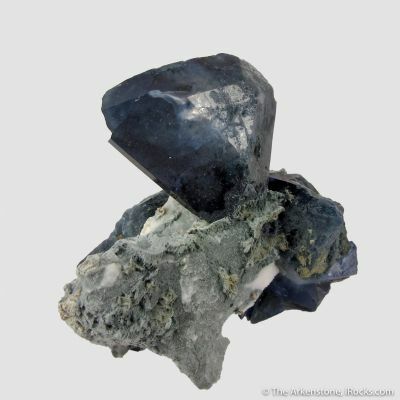 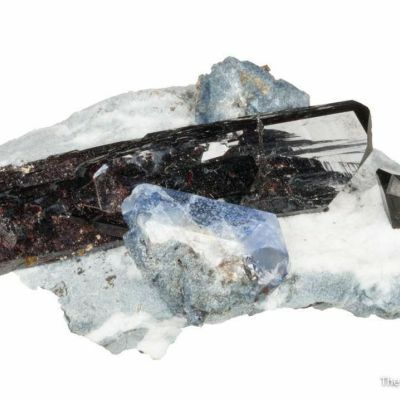 The largest benitoite is to 2.4 cm in size. 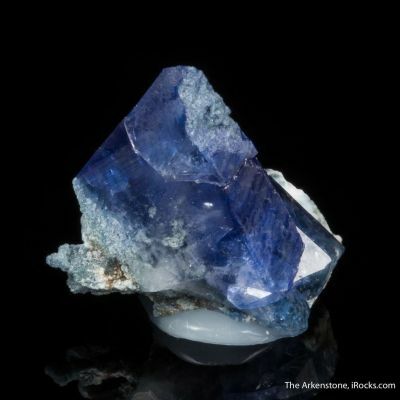 Apparently, this is an old habit, as I had not seen the like from any of the recent production when the pit was (mostly) mined out some years ago and benitoite was briefly more abundant on the market.